There is no greater man than one who lives by his convictions and cherishes those entrusted to his care, and Paul Butler was such a man. The foundation of his family, Paul worked hard to provide for those he loved, and as their foundation, he led by example through his faith and unconditional love. Paul found in his family no greater joy, and alongside his beloved wife, he lived fully and completely at every opportunity. His talents were many, and his kind, genuine nature brought forth many friendships along life’s way. Deeply missed, Paul will be remembered by those who knew and loved him best. Born and raised in Indianapolis, Indiana on October 20, 1925, Paul Eugene Butler was a welcome addition in the lives of his parents, Jesse and Mabel Butler. A time of rapid growth in the U.S., baseball was America’s favorite pastime, and Chaplin movies were all the rage. 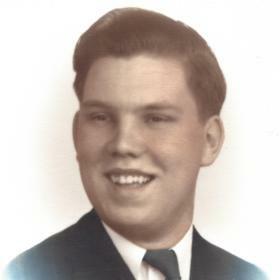 Amidst these changing times, Paul’s father worked as a patternmaker at Marman Harrington Motor Works while his mother remained at home with Paul and his siblings, Jesse and Louise. It wasn’t long before the Great Depression placed much financial distress from coast to coast, and young Paul’s family was no exception. Even so, he led a childhood typical of the times filled with family memories. During his youth, Paul loved building models, helping his dad in his woodshop, and riding the beautiful bicycle his parents gave him for Christmas when he was young. He later learned it was a used bike, and that his mom had taken in laundry from the owners of the hardware store to pay for it. His dad took it all apart and carefully painted each piece and a friend of the family who was a detailer painted stripes on the bike. Upon its’ completion, Paul had the best looking bike in the neighborhood. From an early age Paul showed a promising mechanical ability as well as artistic talent. He loved nothing more than designing, building and racing in the soap box derby. Like many during this time, it was in the first grade when Paul’s teacher tried discouraging his left hand preference by rapping his knuckles and switching his pencil. Once Paul’s father heard this, he made a rare trip to the school, insisting she allow him to use his left hand to encourage his artistic abilities. Paul excelled in drafting class and anything related to mechanics and woodshop while in high school. A friend of many, he went on to graduate from George Washington High School in Indianapolis. With World War II well underway, Paul began serving with the Seabees of the U.S. Navy. Stationed in Guam, their primary mission during the war was to build a harbor in the Pacific. Paul played a role in dredging the shipping lines enabling the large ships to enter. He was one of the youngest members of the Seabees at Guam as most of his comrades were experienced construction workers and heavy equipment operators needed for the workload. Having been inexperienced had its’ share of downfalls. They constantly teased Paul by asking him for non-existent tools and equipment which he would endlessly search for. One time he spent an hour looking for a left-handed monkey wrench which needless to say was never going to be found! It came to an end when someone sent him looking for a crocus cloth, an actual abrasive cloth similar to sand paper. Thinking it was another goose chase, Paul ignored his fellow Seabee until the gentleman called Paul a few choice names, climbed down from the side of the ship and flailed it in his face, announcing, "You see this?! THIS is a crocus cloth!" No more jokes on the young guy! Paul went on to attend Purdue University Extension back home in Indianapolis after the war on the GI Bill. And through one of his friends he came to know and love the young woman who would forever hold his heart, Joan. Deeply in love, the two were married on September 20, 1947, at Second Friends Church in Indianapolis. The beginning of what would become 70 abiding years, the newlyweds came to share the joys of parenthood with the blessing of two daughters, Dianne and Debbie. Through the years as a family they took fun-filled vacations and made numerous memories along the way. Paul had an active interest in airplanes his entire life and on occasion he rode his bike to the Indianapolis Airport to watch the flights. After both of his girls finished college, Joan encouraged Paul to learn to fly. He loved flying, and earned his instrument rating, as well. He spent 20 years flying with the Old Forge Flyers, a membership he shared the ownership and maintenance of several planes. In 1960, Paul and Joan moved their family to Lansing, Michigan when he joined Oldsmobile as an engine designer. For many years he worked on the drafting board before fully embracing the computerized drafting capabilities on CAD. Paul even used to say the computer was a $20,000 pencil and one still needed to understand the concepts that come with mechanical and artistic ability. At one point he was awarded a patent for the fuel injector he designed for the Quad 4 engine. Paul and Joan enjoyed entertaining and hosting family gatherings in their backyard pool and Fourth of July reunions every July 4th. 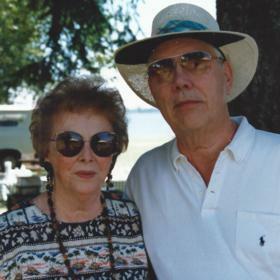 They traveled many years with a Hi-Lo travel trailer group and walked the Mackinaw Bridge with them each Labor Day. When Paul retired, they began spending winters in Gold Canyon, Arizona where they purchased a park model trailer in a retirement golfing community there. When their last grandchild graduated from high school they decided to buy a year-round home, continuing their retirement fulltime and spending the days golfing, swimming, and ballroom dancing.  While at Gold Canyon, Paul and Joan became founding members of the Gold Canyon Methodist Church. They saw the church bloom from meeting in a local elementary school to a beautiful building and large sanctuary overlooking the Superstition Mountains. Paul was active in the choir at Gold Canyon until they moved back to Michigan in 2011. Paul and his entire family were big supporters of the Michigan State Spartans and attended many of the games. He and Joan remained quite active, having been involved in ballroom dancing for a number of years. In their youth, they could jitterbug better than anyone. 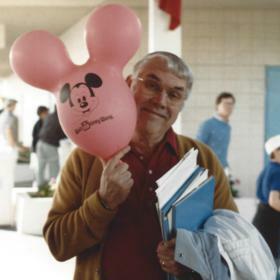 Once while on a Disney World vacation with his girls and their families, his daughter, Dianne tried doing the jitterbug with her dad and was nearly tossed to a nearby table and certainly gained a new respect for the older generation! With his great sense of humor, Paul kept everyone on their toes. If you asked him to pass the salt at the table, he would always tell you to, "Run Out." If you told him someone or something was driving you crazy, he would always say, "That's not a drive; it's a short putt." In his free time he liked a good game of cards, golfing, singing in the choir at church and he loved flying his plane. When among those he didn’t know well, Paul was a quiet man, yet once he came to know someone, his gracious and fun-loving ways were evident. A talented and accomplished man who worked hard at the things he loved, Paul Butler was a man of faith who carried himself with integrity and grace. Above all, he loved his family beyond compare as a devoted husband and dedicated father, grandfather and great-grandfather. With faith as their guide, he and Joan provided a solid foundation for generations to come. Paul’s legacy lives on as he is fondly remembered for all that he was, and more. 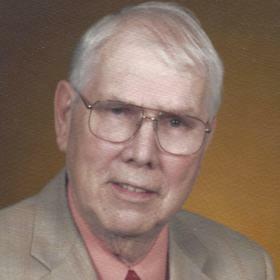 Paul Eugene Butler, passed away at age 92 on Friday, February 23, 2018. 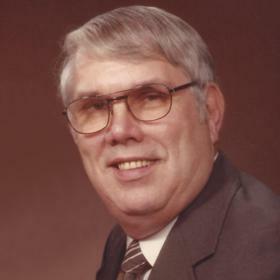 He was the loving husband of Joan and the dearest father to his daughters, Dianne (Bill) and Debbie (Dave); his grandchildren, Eric (Kimberly), Sarah (Brent) and Abigail (Jon); great-grandchildren, William, Samantha, Ethan and Ellie. Joan's much younger sister, Jane, and her family have always been an important part of Paul and Joan's life; having lost their grandparents very young, Paul and Joan lovingly took of role as grandparent figures to Jane's two children, Janet and Jeff. Paul’s family will receive friends Friday, March 2 from 1-2 pm at Neely-Turowski Funeral Home, 45100 Warren Rd, Canton where a Memorial Service will take place at 2:00 pm. 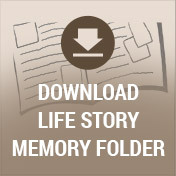 To share a memory and/or photo of Paul and to sign his online guestbook, please visit www.TurowskiFuneralHome.com.